486 Beacon is located on the north side of Beacon, between Hereford and Massachusetts Avenue, with 484 Beacon to the east and 488 Beacon to the west. 486 Beacon was designed by Ernest N. Boyden, architect, and built in 1892-1893 for Eugene Hamilton Fay, for speculative sale, one of five contiguous houses (482-484-486-488-490 Beacon). He is shown as the owner on the original building permit applications for 484-490 Beacon, all dated June 11, 1892 (the application for 482 Beacon has not been located). 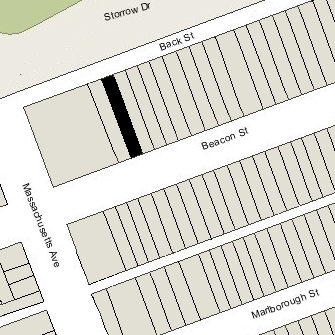 Eugene Fay purchased the land for 482-490 Beacon on May 3, 1892, from the Boston and Roxbury Mill Corporation. Click here for an index to the deeds for 486 Beacon. Eugene H. Fay and his wife, Emma Frances (Hutchins) Lewis Fay, lived in Chelsea. 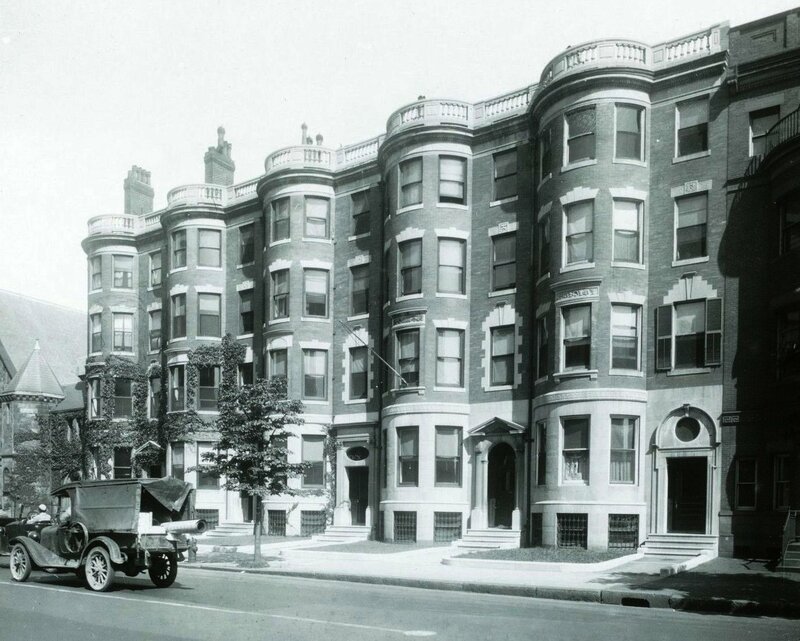 He was associated with Henry W. Savage, a real estate dealer, listing himself in the Boston City Directories as a clerk at the same address as Henry Savage. Rollin H. Allen and Henry W. Savage were associated in a number of real estate ventures. Among their investments was the Castle Square Theatre on Tremont, and they jointly owned the Castle Square Opera Company (Rollin H. Allen acquired Henry W. Savage’s interest in 1895). Rollin Allen and his wife lived at 179 Newbury and later at 240 Commonwealth. On April 5, 1893, 486 Beacon was purchased from Eugene Fay by Henry Melville Whitney. He purchased 482 Beacon and 490 Beacon on the same day. Henry Whitney and his wife, Margaret Foster (Green) Whitney, lived in Brookline. He was a coal and iron manufacturer and president of the Metropolitan Steamship Company and the West End Street Railway Company. On October 3, 1893, 486 Beacon was purchased from Henry Whitney by Margaret (Darlington) Bennett, the wife of stockbroker Stephen Howe Bennett. They had married in June of 1893 and 486 Beacon probably was their first home together. They continued to live there during the 1903-1904 winter season, but moved thereafter to 329 Commonwealth. On September 1, 1904, 486 Commonwealth was purchased from Margaret Bennett by wholesale jeweler David Crowell Percival, Jr. He and his wife, Jennie F. (Bessie) Percival, made it their home. They previously had lived at 217 Newbury. Living with them were their son, Lawrence F. Percival, and their son-in-law and daughter, Herman Parker and Lillian H. (Percival) Parker. Lawrence Percival was a jeweler in his father’s firm. Herman Parker had been an architect until about 1895 when he joined Macullar, Parker & Co., the retail clothing firm founded by his father, Charles Wallingford Parker. 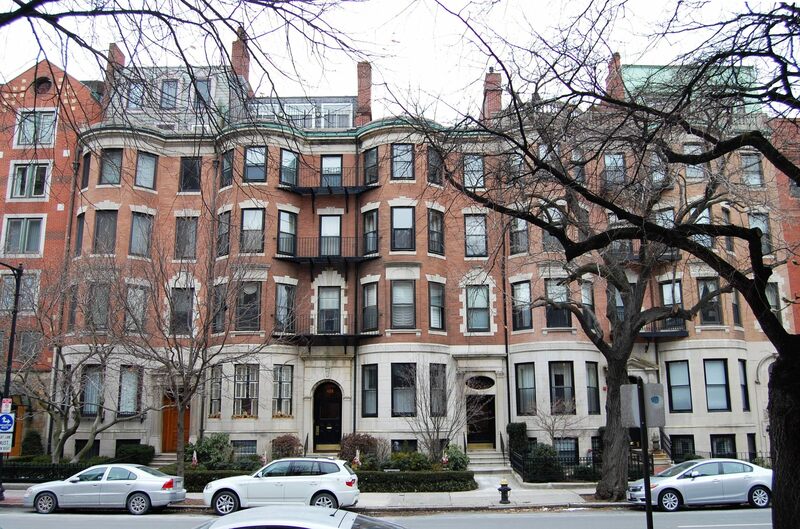 The Parkers had lived with the Percivals at 217 Newbury. The Percivals’ other son, David C. Percival, III, also was a jeweler in his father ‘s firm; he and his wife, Harriette E. (Williamson) Percival, lived at 306 Commonwealth. 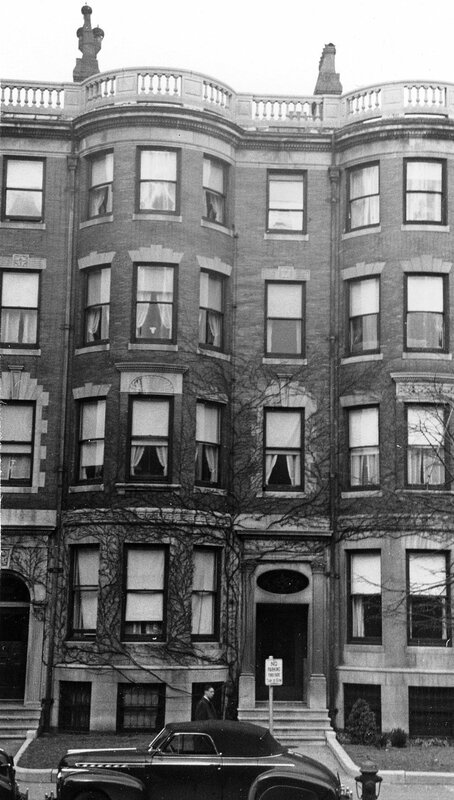 The Percivals and the Parkers continued to live at 486 Beacon during the 1905-1906 winter season. By the 1907-1908, they had moved to 60 Commonwealth. 486 Beacon was not listed in the 1907 Blue Book. On November 28, 1906, 486 Beacon was purchased from David Percival by William Morgan Butler. He was a widower, his wife Minne Ford (Norton) Butler, having died in February of 1905. They had lived at the Hotel Touraine (southeast corner of Boylston and Tremont). He married again in January of 1907 to Mary Lothrop Webster, and 486 Beacon became their home. They also maintained a home in Edgartown on Martha’s Vineyard. William Morgan Butler was a lawyer and former state legislator. He retired from legal practice in 1912 and became a cotton manufacturer. In 1924, he served as Chairman of the Republican National Committee, and in November of that year, was appointed to the US Senate to fill the vacancy left by the death of Henry Cabot Lodge. He lost his bid for election to the office in 1926, and lost a second attempt for election to the US Senate in 1930. The Butlers continued to live at 486 Beacon in 1920. They spent the 1920-1921 winter season at the Hotel Somerset; by the 1921-1922 season they had moved to 231 Commonwealth. On April 20, 1921, 486 Beacon was purchased from William Butler by Annie E. (Jacobs) Bullard, the wife of Washington Irving Bullard. They previously had lived in Chestnut Hill. They also maintained a home in Edgartown. W. Irving Bullard was a former reporter and editor. He subsequently was a bond broker, textile manufacturer, and banker. During the 1925-1926 winter season, the Bullards were living elsewhere and 486 Beacon was the home of cotton broker and mill owner Thomas Spriggs Blumer and his wife, Nancy Warburton (Scott) Blumer. They previously had lived at 341 Beacon. The also maintained a home in Manchester. By 1927, they were living at 127 Beacon. The Bullards had resumed living at 486 Beacon by the 1926-1927 winter season. The Bullards were abroad for the 1927-1928 winter season, and after they returned they lived at the Hotel Somerset. During the 1927-1928 season, 486 Beacon was the home Robert Shuman Steinert and his wife, Lucy Pettingill (Currier) Steinert. During the same season, they also lived with Lucy Steinert’s parents, Guy and Marie (Burress) Currier, at 8 Commonwealth; during the previous season they had lived with Robert Steinert’s parents, Alexander and Bessie (Shuman) Steinert, at 401 Commonwealth. They also maintained a home in Beverly Farms. Robert Steinert was president of M. Steinert & Sons, piano and music dealers, on Boylston, and of the Jewett Piano Company, manufacturers of pianos. By the 1928-1929 winter season, they had moved to 13 Gloucester. On September 26, 1928, 486 Beacon was purchased from Annie Bullard by architect Edward Thomas Patrick Graham. He also owned 488 Beacon. Edward T. P. Graham lived in Cambridge and maintained his office at 171 Newbury. 486 Beacon and 488 Beacon remained under the same ownership from this point. 486-488 Beacon were operated as lodging houses by Charles Henry Bingham and his wife, Elizabeth (Mead) Bingham, who lived at 488 Beacon. Charles Bingham died in December of 1942, and Elizabeth Bingham moved to 312 Beacon by 1944. In October of 1944, Edward Graham filed to legalize the occupancy of both properties as lodging houses, noting that they had been used as such “for more than fifteen years.” He subsequently abandoned the application. In September of 1946, he filed for (and subsequently received) permission to convert the properties from lodging houses into fraternities for use by the MIT chapter of the Tau Epsilon Phi fraternity. Doors were cut on the fifth floor between 486 and 488 Beacon, and also on the second floor between 486 and 484 Beacon (location of the MIT chapter of the Sigma Alpha Epsilon fraternity). Tau Epsilon Phi remained at 486-488 Beacon until 1958, when it purchased and moved to 253 Commonwealth. On September 26, 1959, 486-488 Beacon were acquired from Edward T. P. Graham by George Irwin Rohrbough, president of the Chandler School for Women, located at 448 Beacon. He and his wife, Martha Fraser (Waugh) Rohrbough, lived in Cambridge. On December 28, 1961, George Rohrbaugh transferred a 60 percent interest in 486-488 Beacon to the Wesley Foundation in Cambridge. On December 28, 1962, he transferred the remaining 40 percent to the institution. The Wesley Foundation was formed to provide spiritual and social services to Methodist students at Harvard, Radcliffe, MIT, Wellesley, and Lesley College. In July of 1967, it applied for (and subsequently received) permission to convert the properties from a fraternity back into a lodging house. On March 14, 1973, 486-488 Beacon were acquired from The Wesley Foundation in Cambridge by Kenneth L. Shaw. On the same day, he transferred the property to Anthony P. Baker. On August 31, 1976, Karnig S. Dinjian and Nubar J. Dinjian foreclosed on a mortgage they held on 486-488 Beacon and transferred the property to themselves as trustees of the Two-D Realty Trust. On December 29, 1977, they transferred the properties to Malcolm McPhail and Dominick Scarfo as trustees of the Dinjian & Dinjian Realty Trust. 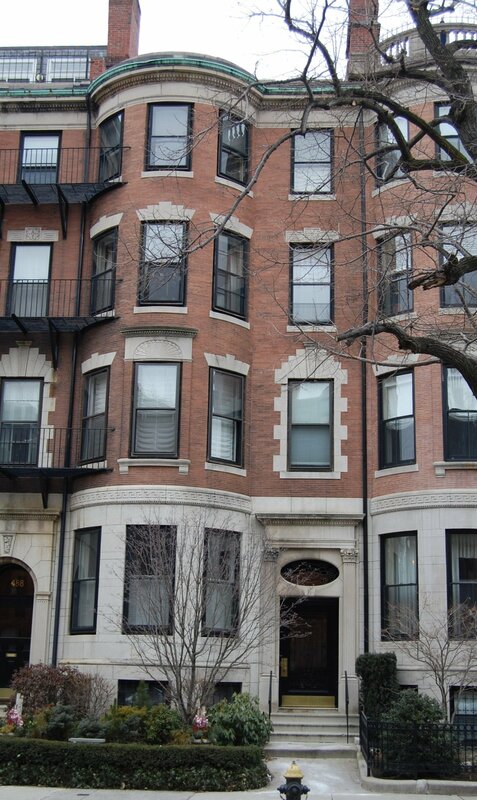 On June 15, 1979, the Dinjian & Dinjian Realty Trust converted 486-488 Beacon into 18 condominium units, nine in each building, the 486-488 Beacon Street Condominium. In May of 1992, a condominium owner at 486 Beacon, applied for (and subsequently received) permission to combine two units and reduce the occupancy from nine to eight units.